The Brazilian press is reporting that this Venezuelan Navy ship ran aground near the port of Fortaleza last Friday. 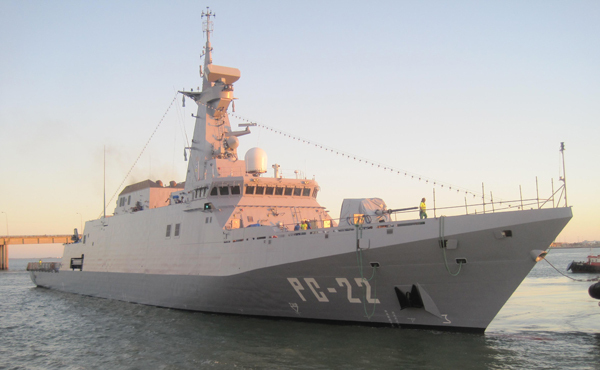 The PC-22 patrol vessel “Warao” was about to take part in joint exercises with the Brazilian Navy. Another Venezuelan patrol vessel, the PC-24 “Kariña” is assisting the “Warao” and an investigation has been launched. Some Venezuelan media outlets have already picked up the story, but neither the Navy, the Defense Ministry nor any other official insititution has released a statement on the matter. State media has been silent as well. If the Brazilian press didn’t report it, perhaps people would never have heard about this. The “Warao” is one of four Guaiquerí class patrol boats, bought from Spain in 2005 and made by Navantia. The ship was delivered to Venezuela last year. With only a year in operation, it looks like the “Warao” has ended up just like a certain Italian cruise ship. Whatever the reasons were for the incident, this is a major screw-up for the Venezuelan Military.